When it comes to choosing a cloud storage service, there are certainly many good ones to choose from on the market. However, there are not many that offer more document management features besides storage space. Cometdocs is one that does just that. You get a reasonable 2GB of free storage space when you sign up to Cometdocs for free, but the other features that come with the service are what really make it stand out. The feature that Cometdocs is known best for is its file conversion capabilities. Users can convert files to and from a variety of very popular file types, including PDF, MS Word, Excel, PowerPoint, HTML, AutoCAD formats and many more. On top of conversions, Cometdocs is also great for transferring your files to others – especially large files that won’t fit inside an email attachment. The service has recently released an iOS app to go with its browser-based interface. This lets iPhone and iPad users store, convert and share files directly from their mobile devices. It’s a very lightweight app that is also very easy to use. Let’s take a look at how it works. Download the free app from the iTunes store. Once you bring it up, enter your credentials to log in. 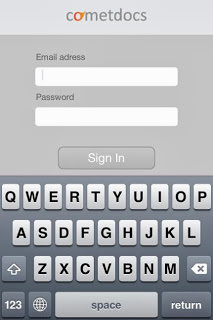 If you are already a Cometdocs user, simply type in the email address you used to register and your password. If you are not registered yet, head over to Cometdocs.com and get a free account. 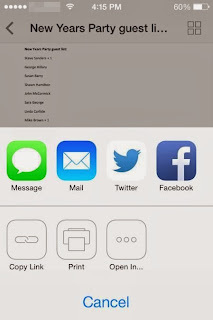 You can send files to your Cometdocs account on your mobile device very easily. Whether you want to send a file from your email client or from a cloud storage service such as Google Drive or Dropbox, it can be done quite simply. Just locate your file and then send it to the Cometdocs app. As mentioned previously, Cometdocs is great for sending large files that exceed the limit imposed by most email clients when it comes to attachments. Tap on the transfer link below your file and then enter the email address or addresses to which you want the file sent. You can also include a message. The recipient will receive an email with a link for downloading that file directly. It’s easy and secure. 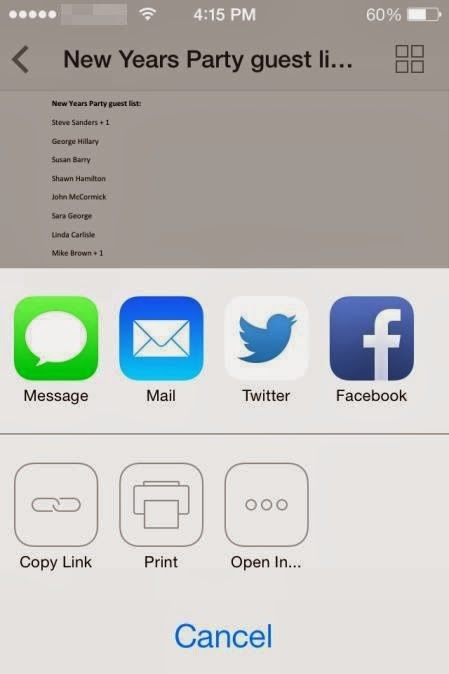 To convert a file, simply tap on it from your file menu and then tap on the conversion option that you need. The conversion process is very resource efficient, since the app itself is not performing the conversion. The app simply sends the file to Cometdocs’ server for conversion. Once it is converted, your screen will refresh and display the converted file next to your original one. So even when you are converting files, the app is not slowing down your mobile device or draining your battery drastically. Hi there! I recently discovered this excellent website and I honestly love it. I love to chat about mesothelioma law firm walkthrough from time to time. Great to be here, thanks! I always look over your content attentively. I am also looking into stream movies, perhaps you might write about this at times. I will be back. Let me know if you're looking for a article author for your site. You have some really good posts and I feel I would be a good asset. If you ever want to take some of the load off, I'd absolutely love to write some articles for your blog in exchange for a link back to mine. Please blast me an e-mail if interested. Thank you! You're completely correct, I'd like to discover even more on that topic! I am as well fascinated by orthodontist as I believe it really is quite unique presently. Great! Howdy, what do you think with regards to online movie sites? Very trendy subject, right? Hey! I just wish to give an enormous thumbs up for the nice info you've got here on this post. I will likely be coming back to your weblog for more soon. Appreciating the persistence you put into this site and comprehensive information you provide. It's good to discover a website from time to time which is not the similar expired re-written information. Excellent read! We've bookmarked your blog and I am adding your RSS feeds to my own stream movies web page.